Personal loans have become the most convenient form of credit for a large number of people in India, primarily because of how easy they are to access. Personal loans can come in very handy, especially when you have no other option to go to for immediate financing. 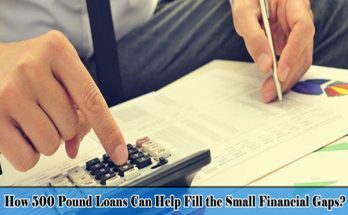 Banks and financial institutions across the country are offering personal loans at attractive interest rates, flexible repayment tenures, and minimal documentation, thereby making them more appealing for anyone who is in dire need of money. There are a number of factors to be considered when you decide to go in for a personal loan. One of these factors is the impact a loan could have on your credit score. Your credit score could either be affected positively or negatively depending on how you manage your debt. When you avail a personal loan, you will have to repay it in Equated Monthly Instalments (EMIs). Therefore, the debt will not be taken into consideration so far as your credit utilisation ratio is concerned. Your credit utilisation ratio is basically a computation of all revolving debt against the amount of credit available to you. Repaying your revolving debt through a personal loan will essentially reduce your credit utilisation ration, which subsequently has a positive impact on your credit score. Since the repayment of your personal loan is done on an EMI basis, you will essentially be paying off a certain amount on a certain date each month. If you are regular with your payments every month and there are no defaults, your credit score will be affected in a positive manner as you will be showing diligence in the repayment of your loan. There are five major factors that ascertain an individual’s credit score. They include one’s payment history, length of credit history, credit utilisation ratio, credit mix, and new credit inquiries. Personal loans help in creating a varied blend of credit types which subsequently put the individual in good light so far as creditors and lenders are concerned. While personal loans are great options for financing your immediate monetary needs, they can also be used effectively for debt consolidation. For instance, let’s say you have credit card bills to pay, and the debt has added up over a period of time and you now have to pay a relatively large amount towards multiple credit card accounts. In this case, you can avail a personal loan to consolidate and repay your debt as it not only clears your liabilities but also has a positive effect on your credit score. Each time you apply for a personal loan, the bank or financial institution to which you have applied will run a hard check of your credit report to determine your creditworthiness. Each time a bank pulls up your credit report, your score is affected, albeit marginally. It is therefore important to ensure that you do not apply for a loan with multiple lenders as it could adversely affect your credit score. It is crucial to understand that although a personal loan can help you clear off your existing debt, it is, in itself, a new debt vehicle. 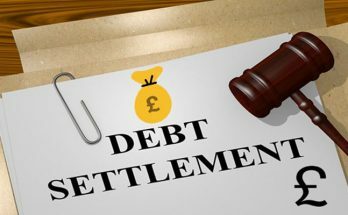 You must only borrow an amount that you actually require as borrowing more will only mean that you have to repay more, which leaves the door open to you defaulting on payments, which could subsequently have a negative effect on your credit score. When you take out a personal loan, keep an eye on processing fees and late fees. 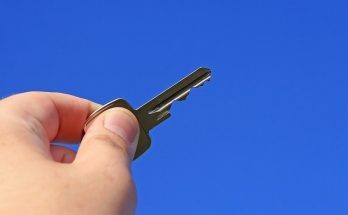 Most lenders charge processing fees of about 2-3% of the loan amount. When you apply for a loan, keep these charges in mind and ask for a slightly higher amount in order to compensate the fees. For instance, if you have Rs.1 lakh worth of debt to pay off, and the processing fees charged by the lender is 3%, your loan application should be for Rs.1,03,500 as you will have around Rs.1 lakh after the processing fees have been deducted by the lender. When you avail a personal loan, it is essential to ensure that you do not miss your EMIs. Failure to pay your EMIs on time can have a negative impact on your credit score, thereby making it harder for you to get loans in the future. Personal loans not only affect your credit score but also lower your ability to borrow. Credit reports contain important information such as your current loans as the monthly payment associated with them. Applying for new personal loans when you already have one or more in progress, your current monthly obligations will be taken into consideration by the lender to determine your ability to repay the new loan in addition to the old ones. Personal loans help in building credit provided you repay the loan successfully. Personal loans have an adverse effect on your credit score if youdefault or make late payments. Personal lower your ability to borrow. Although personal loans can damage your credit score, they can also be used to increase your credit score if you make timely payments. According to Bankbazaar, using credit finance to your advantage requires some healthy debt payoff habits before you decide to spend the newly acquired personal loans. In conclusion, personal loans can work both ways. It is up to you, at the end of the day, to use them to your benefit. Clearing off your loans and eliminating debt is not only good for your credit score but also for your financial well-being. When you take a personal loan, make sure that you do not miss any of your EMI payments. Also, if you run into some additional money when the tenure of your loan is in progress, consider prepayment or part payment as it will lower the interest component of the loan, thereby helping you save more while clearing off your debt. Next Article Unemployed Loans with No Guarantor – What Lenders Expect From You?